The Vanderbilt Sleep Disorders Program is administered within the Department of Neurology and consists of a team of multi-disciplinary specialists. Our program is designed to provide comprehensive patient care for adults and children having difficulty sleeping at night, having difficulty staying awake in the daytime, or experiencing unusual movements or behaviors in their sleep. Click here to go to the Vanderbilt Sleep Center clinical website. An ACGME-accredited fellowship in sleep medicine is available. For more details, click here. A variety of sleep research protocols are actively recruiting patients. 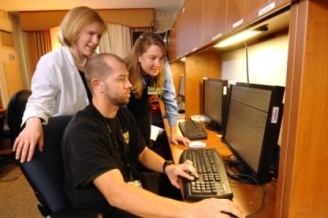 The Sleep Research Core at Vanderbilt University conducts research sleep studies within the General Clinical Research Center as well as other locations, such as the Medical Intensive Care Unit. For more details, click here.